"Desperate, dark, and violent, this amazingly complex and beautifully written novel...offers excitement on every page" (VOYA). War erupts in this bittersweet sequel to Of Metal and Wishes, inspired by The Phantom of the Opera. In the year since the collapse of the slaughterhouse where Wen worked as her father's medical assistant, she's held all her secrets close. She works in the clinic at the weapons factory and sneaks away to nurse Bo, once the Ghost, now a boy determined to transform himself into a living machine. Their strange, fragile friendship soothes some of the ache of missing Melik, the strong-willed Noor who walked away from Wen all those months ago--but it can't quell her fears for him. The Noor are waging a rebellion in the west. 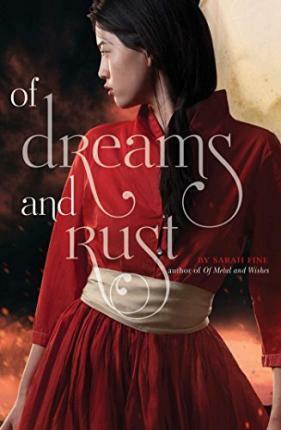 When she overhears plans to crush Melik's people with the powerful war machines created at the factory, Wen makes the painful decision to leave behind all she has known--including Bo--to warn them. But the farther she journeys into the warzone, the more confusing things become. A year of brutality seems to have changed Melik, and Wen has a decision to make about him and his people: How much is she willing to sacrifice to save them from complete annihilation?